Yippee!!! 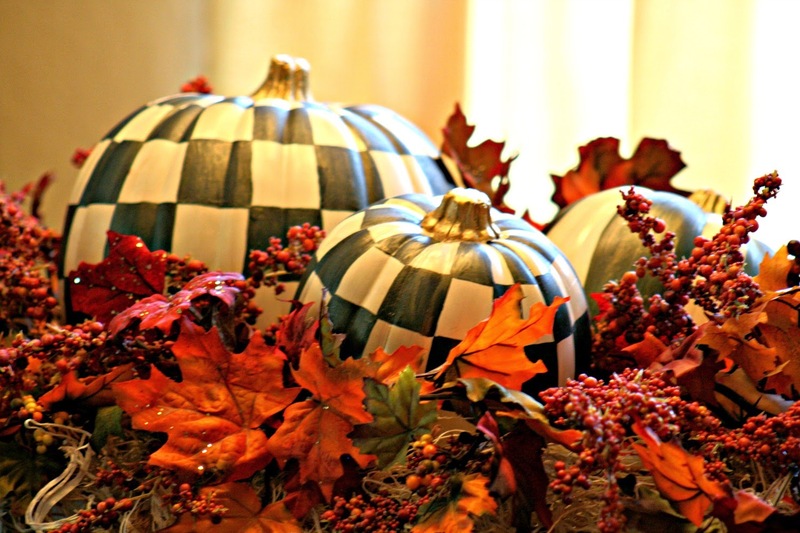 Thank you Marty for featuring the pumpkins this week! 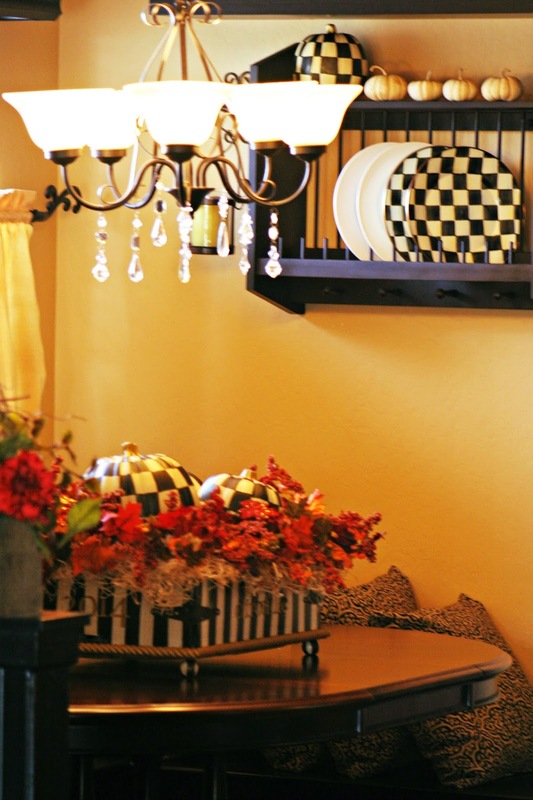 Click here to view a tour of her lovely home! 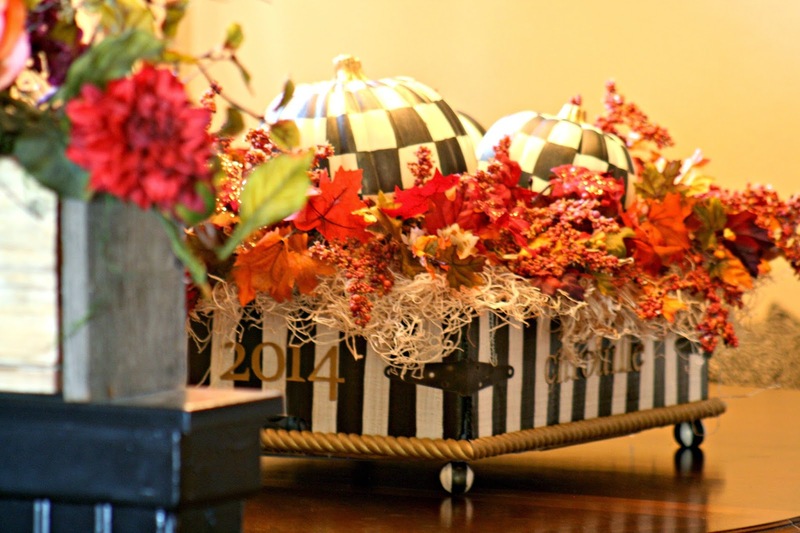 Thank you to Kathy over at Life on Lakeshore Drive for giving the pumpkins a feature too! Click here to visit Kathy, she throws a fun party! Well here we are in the middle of autumn...Mother Nature is proudly displaying her colorful artwork. 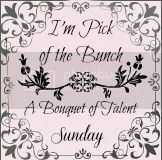 And so am I! Proudly displaying my artwork that is. 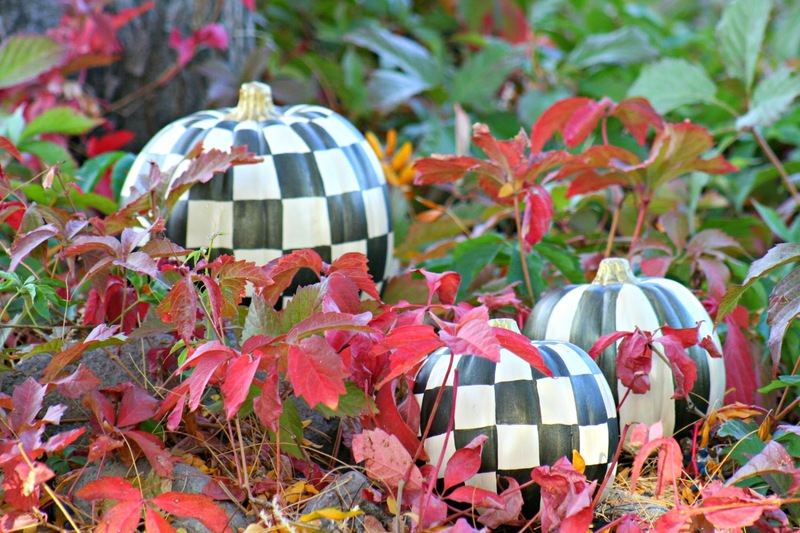 I love the way my checkered pumpkins stand out against the fall colors. 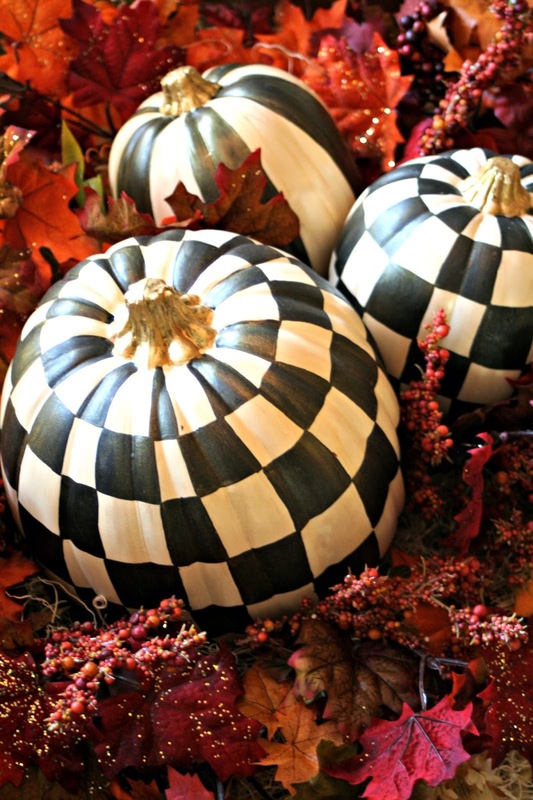 These pumpkins are obviously inspired by Mackenzie - Childs. I mean if you are going to be inspired you might as well be inspired by the best! 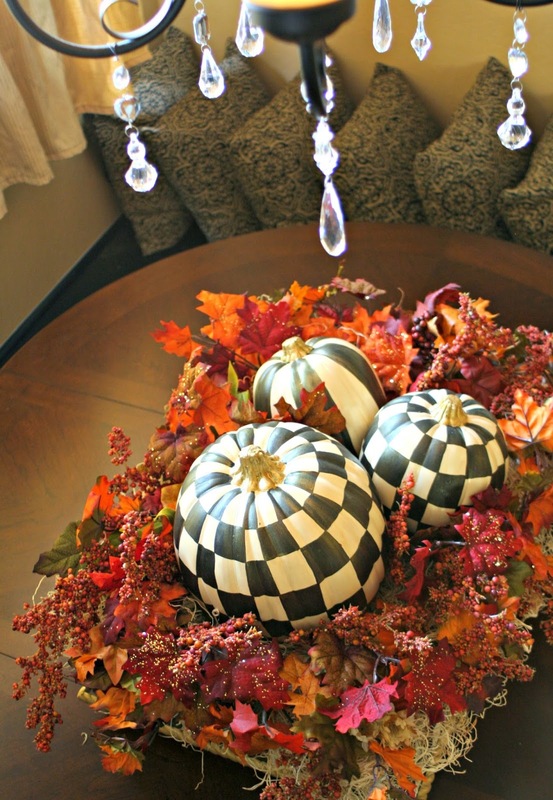 As much as I love how these faux pumpkins look outdoors, I knew they needed a nice home indoors. So I went to Costco to get a free box...to paint like a boot tray I saw in the MC catalog. Seriously you had to know that was coming! 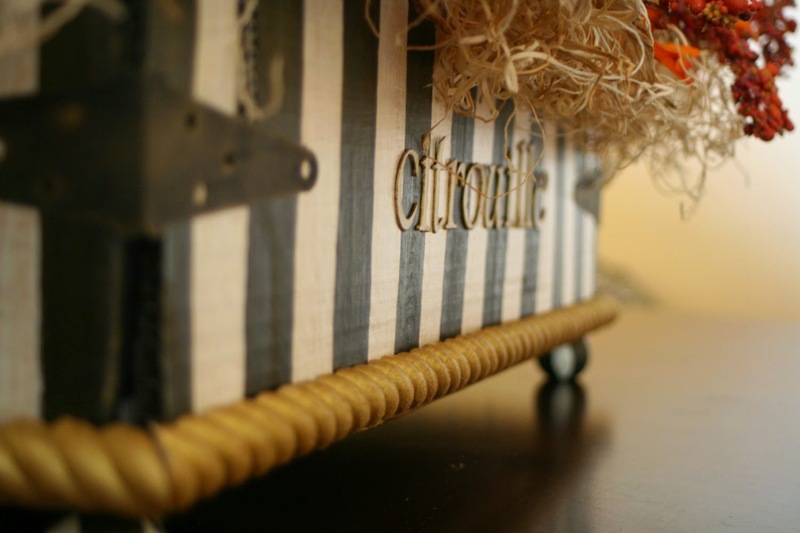 The box I made was inspired by the Mackenzie - Childs boot tray, which sells for $495. While I am sure it is worth every penny, I just felt $495 was maybe a bit much for a pumpkin display. My husband thought the same thing, no arguments he totally agreed with me on this! There might have been some talk about who puts boots on a $495 tray? I am sure some of you are thinking who paints a Costco box to look like a $495 boot tray. Yeah we talked about that too.. I still went ahead and painted the box and he ended up liking it. He even cut the cute decorative wood trim for me. Just to make my box unique I added the word pumpkin, spelled in French no less, with some gold paper letters I cut with the Silhouette Cameo. I am betting it's the only box of its kind here in Nevada. Geeze I photographed these guys from every possible angle! Here is a quick tutorial on how I painted these beauties. 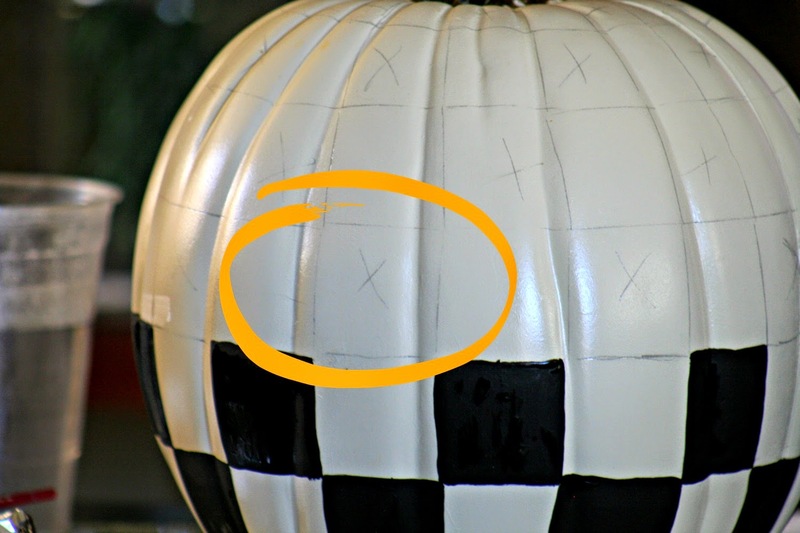 I cut a paper square (1 1/4 inch) and traced around it on the fake pumpkin. Then I marked the squares that I wanted to paint black with an X. Then I painted them black. I let them dry for a few hours. Then I watered down (thinned) some gold metallic acrylic paint and brushed it all over the pumpkin. Same idea for the "boot tray" except I had to paint the box white first. Which took about four coats. It works best if you let the paint dry between coats. 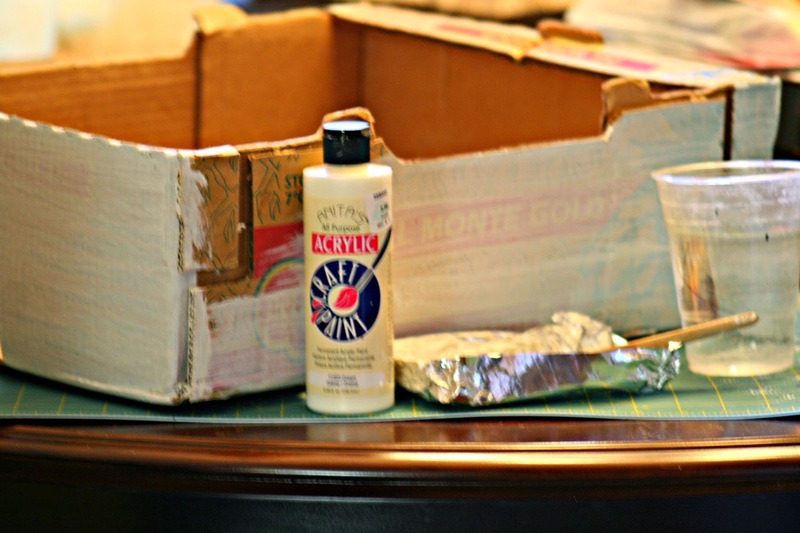 At first I just painted a gold stripe on the bottom edge of the box. Ugh that wasn't going to work. Off to the home center for some edging I went. I think the wood trim really finishes the box off. It almost hides the fact that it's really a Costco box. I said almost not totally! So everyone is happy, the pumpkins, my husbands wallet and myself. 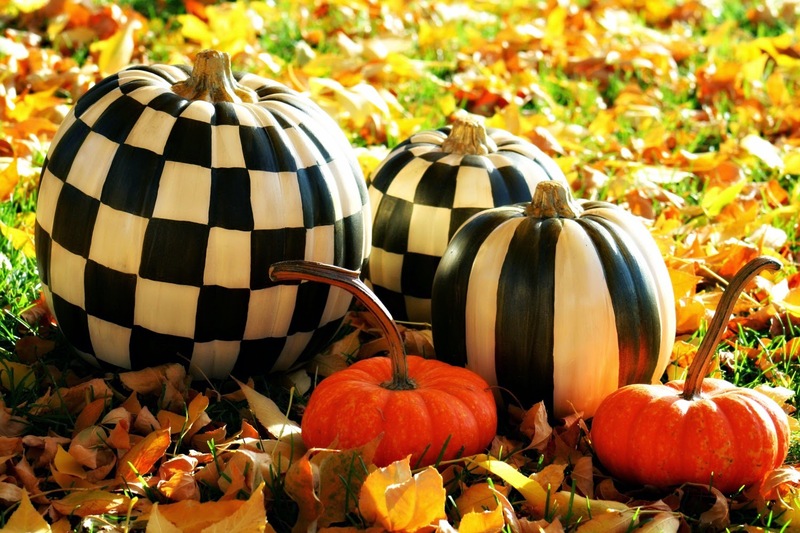 Thank you to my dear friend Paula for giving me the faux white pumpkins...not orange ones, phew! And thank you to Costco for the free box. Total cost of this project $13.95 plus tax. The wood trim was the only thing I purchased. and $100 for the 9" pumpkin. So I'd say this was a cost effective project! Thank you for visiting MarvinDaughters I appreciate your time and sense of humor! 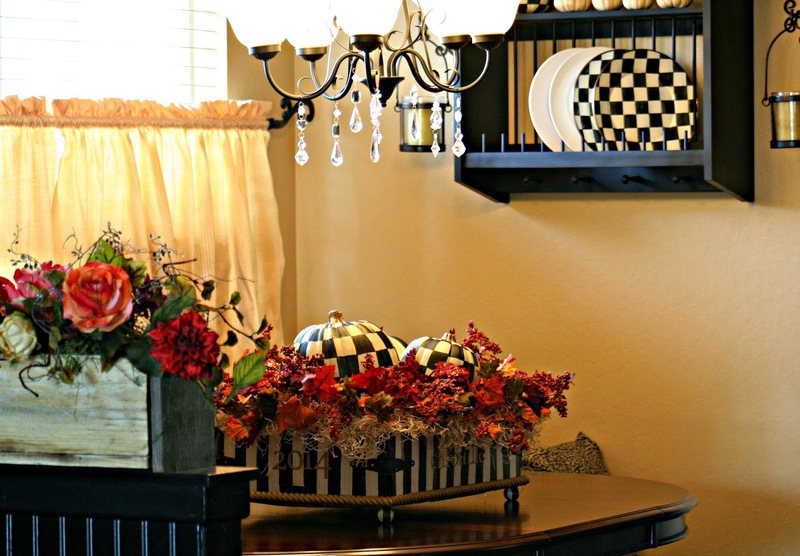 Follow me with email or on Facebook or Pinterest. Be still my heart. 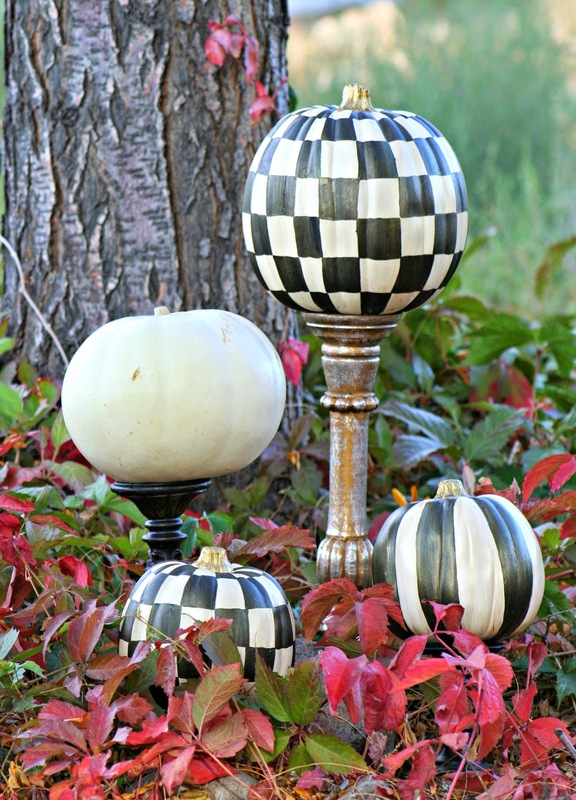 I am in love with MacKenzie Childs Courtly Check and these are fabulous! I will be doing some too! Oh, I love these!!! Great idea! Pinned! Wow! 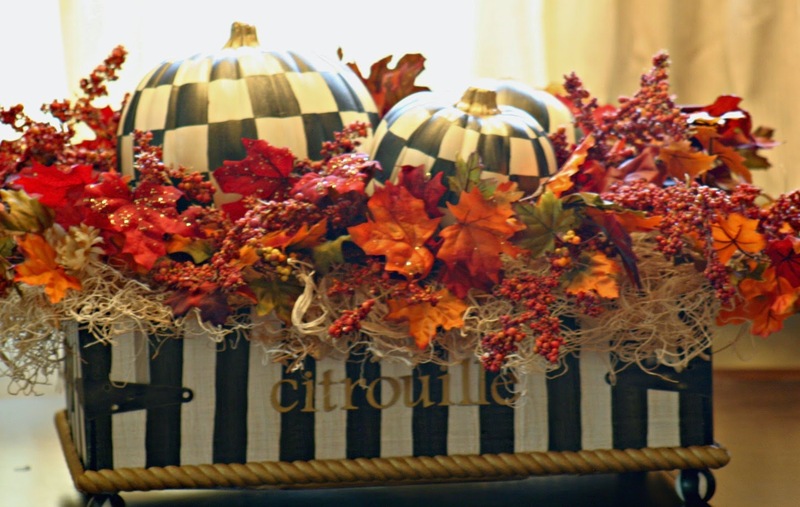 Your pumpkins are stunning and the box you painted is amazing too! Visiting from the Say G'Day Saturday party and so glad I did! Pinning! Hi Lori! 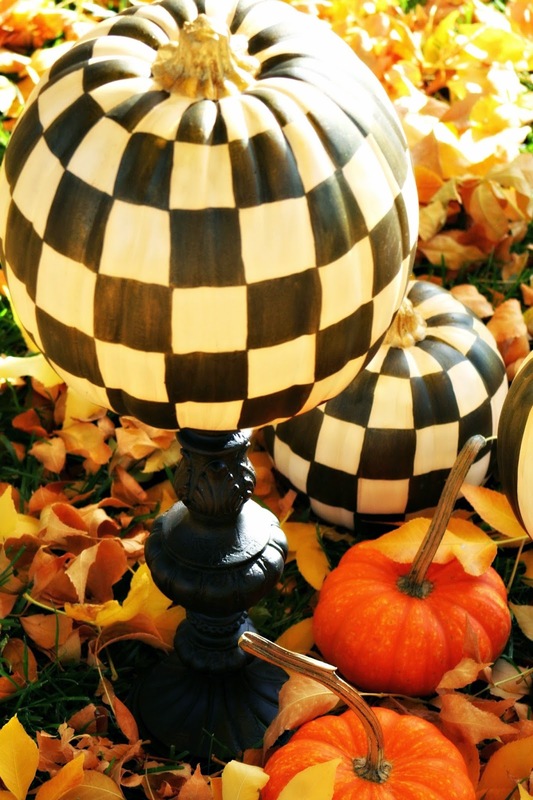 I am a huge fan of MacKenzie Childs too, and LOVE your pumpkins! Visiting from G'Day Saturday and pinning. Have a happy weekend! 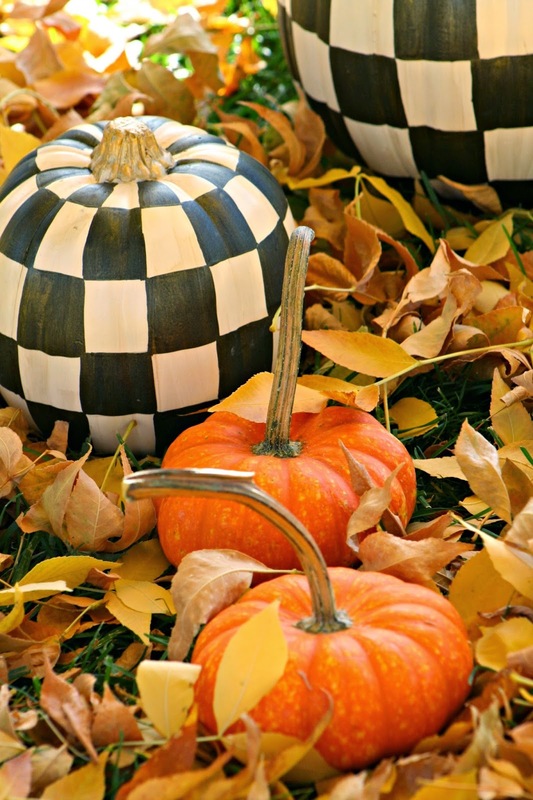 LOVE the pumpkins! 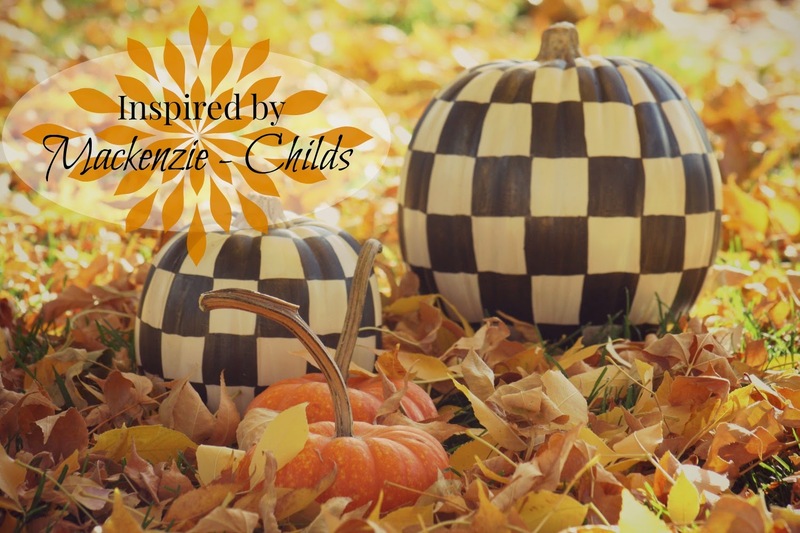 Now I have to go figure out who MacKenzie Childs is. Oh my goodness, these are fabulous. I love them and your tutorial is fantastic. Thanks tons for linking to Inspire Me. Oh my I am highly impressed! I was admiring the MC pumpkins but knew it would be too tedious for me to do. You did a spectacular job on all of this. I would never have guessed the boot tray was cardboard! Love how you put it all together! Five stars!!! 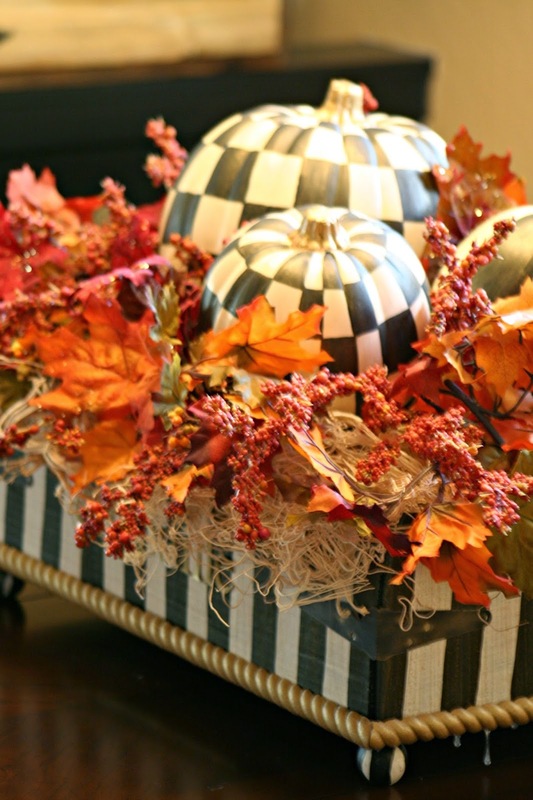 You are very creative, thrifty woman, Lori...the pumpkins and boot tray are awesome! I may even try doing one of those boot trays on a little smaller scale. It could be used for every season. I am so happy to have found you on Marty's blog. Your work is terrific and your MC items look beautiful. 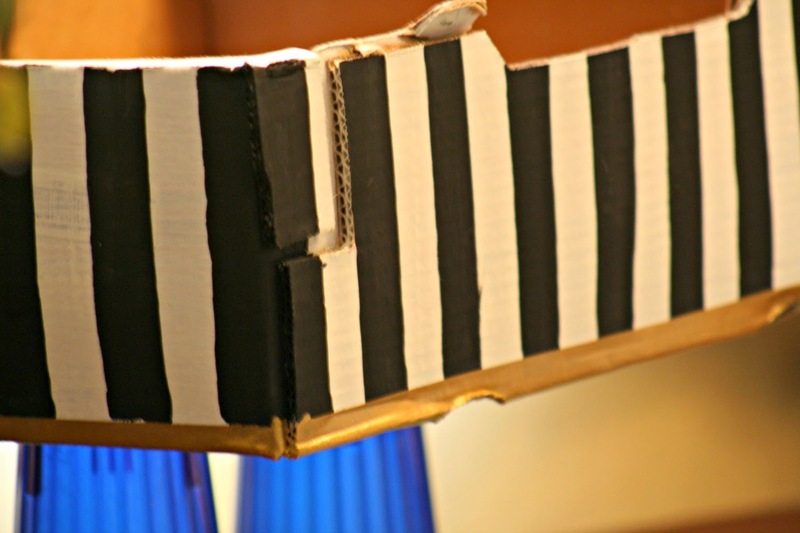 Wood trim -- $13.95, boot box -- free, inspiration -- priceless! You are a rockstar, Girl!